Geometrical Molecular design rug in smooth tones. - This Hand-knotted Rug is weaved by skilled artisan weavers in Finest Quality New Zealand 100% Wool. 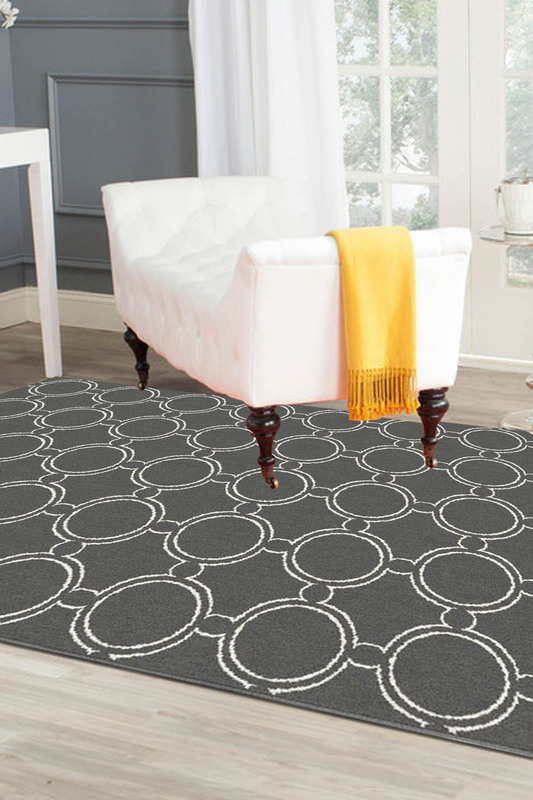 - Primary color of this rug is Gray with off-white pattern. - It is ideal for a modern set-up decor with minimum furniture. - Designer rug with simple pattern which can complement any room with simplistic contemporary decor. - This rug exudes sophistication into one's room thereby giving it a rich look.